The trade war between China and the United States Of America has started having ripple effects on Nigerian exporters and indeed other exporters that ship various items to China from different countries around the world. 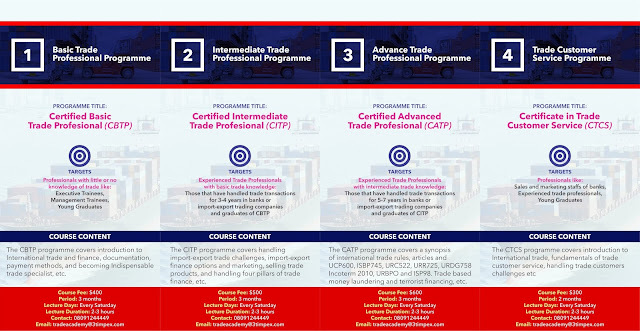 This was made known to the 3T Impex Trade Academy by an exporter in Nigeria and confirmed by a broker in China this week. 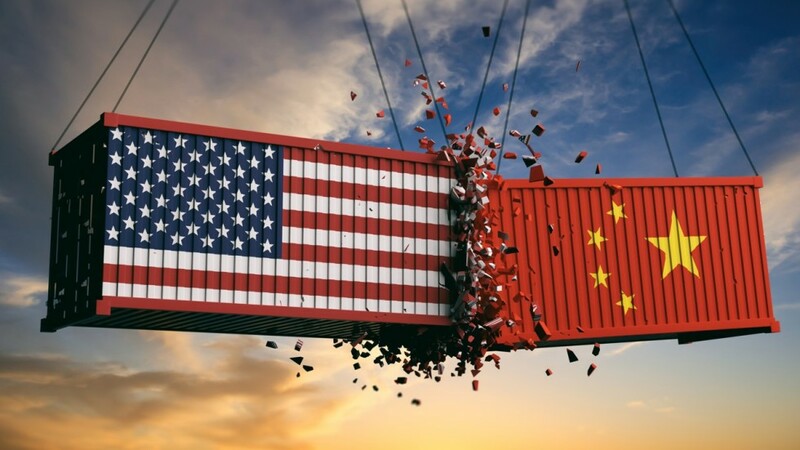 We were reliably informed that the one of the ways the Chinese government has responded to the trade war with the US is through exchange control measures. This involves the introduction of additional documentation that must be provided by the importer before payment can access foreign exchange which is needed to effected on goods that were sold to Chinese importers from abroad. The implication of this is delay in payment on goods that are shipped to China especially when the importer has not followed the laid down procedures in the process of importation into China. The People’s Bank of China (PBOC) and State Administration of Foreign Exchange (SAFE) regulate the flow of foreign exchange in and out of the country, and set exchange rates through a "managed float" system. Knowing fully well the implication of the increased tariff on some of the goods exported to the US by China which is huge reduction in export proceeds and consequently decline in foreign reserve, it is only reasonable for the PBOC and SAFE to reduce the rate of outflows from the China foreign reserves in order to mitigate the possibility of economic crises that could results from the shortage of foreign exchange. The ripple effects of this trade war between two giants of international trade in the world is a risk that every exporters and bankers in Nigeria need to begin to anticipate in any export transactions to China and therefore design measures to mitigate it. In combating this risks, it could mean asking for confirmed letter of credit (which is not a instruments that Chinese banks want to issue), counter guarantees and counter standby letter of credit from the Chinese buyers on one hand. On the other hand, it could also mean that exporters might have to take some pay cut on their export proceeds by requesting for their payment to be made in Chinese currency (CNY). However, this will only be possible when the Central Bank of Nigeria issues a guideline on how this will work since the only guideline that we currently have on the swap deal with China only favours the import transactions. 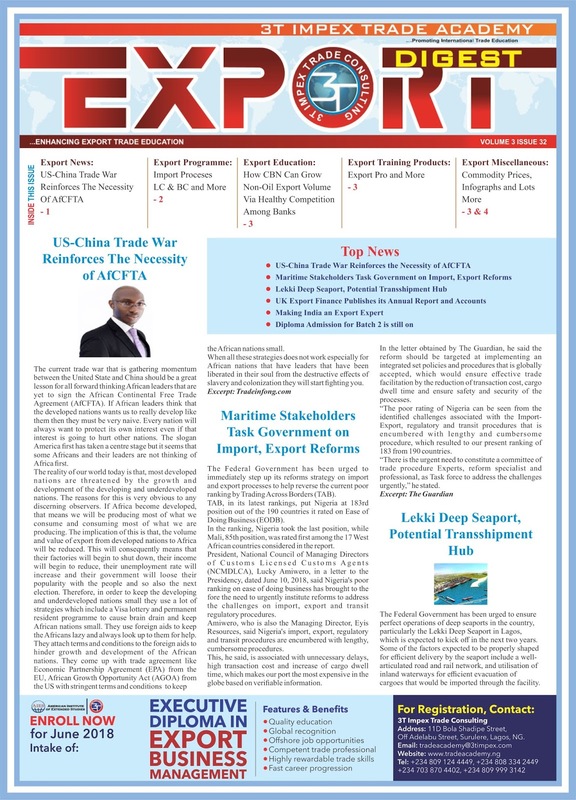 Finally, the risks of the trade war between the US and China is here with us and every stakeholder in Nigeria who is directly or indirectly involve in export trade with China needs to begin to work towards how to mitigate the effects of this war on the Nigerian economy. A proactive measures on the part of the Central Bank of Nigeria will be very necessary to protect exporters in this regards.